Is December 14th the first day of Christmas, or is that Christmas itself? 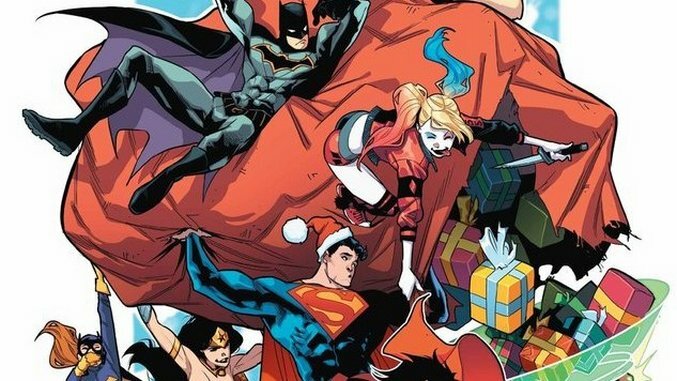 It seems like the hyper-capitalist machine that powers the holiday has determined the former is now true, in which case this week’s new comic haul is the perfect way to kick off the jolliest chunk of the year. Whether you celebrate religiously, secularly or not at all, this Wednesday offers a small harvest of sequential gems ranging from a delightful one-off cartoon tie-in to jumbo Big Two holiday spectaculars to a horror legend flexing his creepiest muscles—all of which make perfect stocking stuffers! We’ve also got an Image debut, an indie compendium, a Star Wars fan love-letter of the highest caliber, a Marvel event entry and the return of everyone’s favorite purple archer (no, not the dude). If you’ve got a moment between mad shopping dashes, kick back and sip some nog while enjoying this week’s Required Reading.